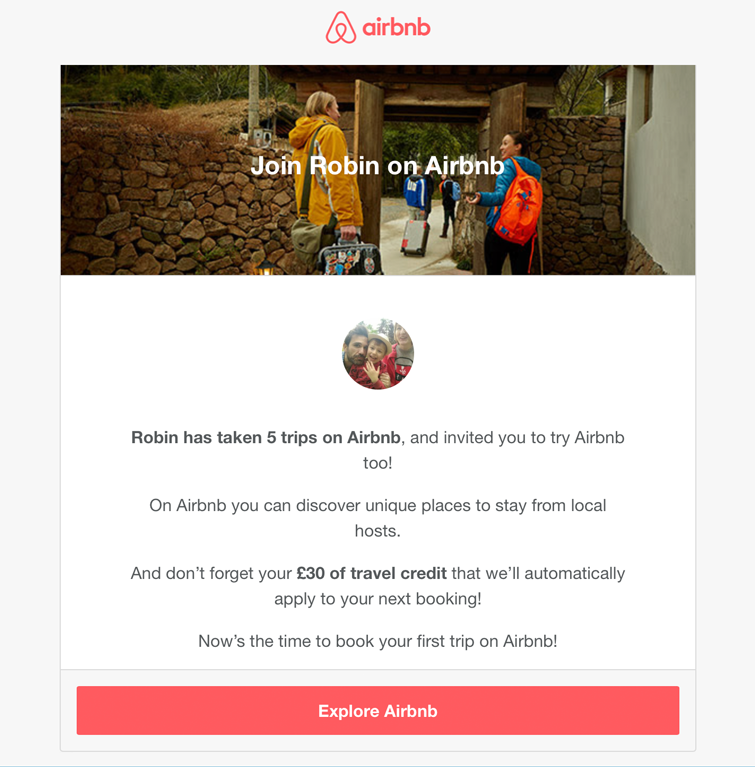 Airbnb’s referral programme didn’t always look like it does now. In fact, they didn’t even have a programme until 2011 – three years after their initial launch. And the programme they did have was pretty basic, with no mobile version and sharing solely via Facebook and email. But, within a year, the momentum had died away and even Airbnb’s own staff began to forget about the programme. Alarmed by the tiny percentage of acquisitions they were making via referral – especially when compared with some of the (unnamed) brands they benchmarked as competitors – they set about reinventing their programme. Which brings us to the version we see now – which was first introduced in 2014. And, back then, it was pretty cutting-edge. Thanks to massive investment (a five man development team spent over three months – and 30,000 lines of code – working flat out, with additional resource from several other Airbnb units), it didn’t merely work on mobile, it was actually optimised for users on the go. And it incorporated a number of brand new features, such as the addition of Facebook Messenger as a sharing channel, the ability to import your email contacts and a dashboard where referrers could quickly track the progress of their referrals. Here at Buyapowa, we power referral programmes for over 100 brands, across all kinds of industries – from beauty giants like L’Oreal to mobile networks like Three; from global superbrands like Sky and Virgin to fashion superstars like ASOS. And, through this wealth of experience, we’ve learned that each and every programme has to be carefully tailored to suit not just one but multiple different audiences. Sadly, that’s something Airbnb continues to overlook, despite the fact that their customer-base is extremely varied. 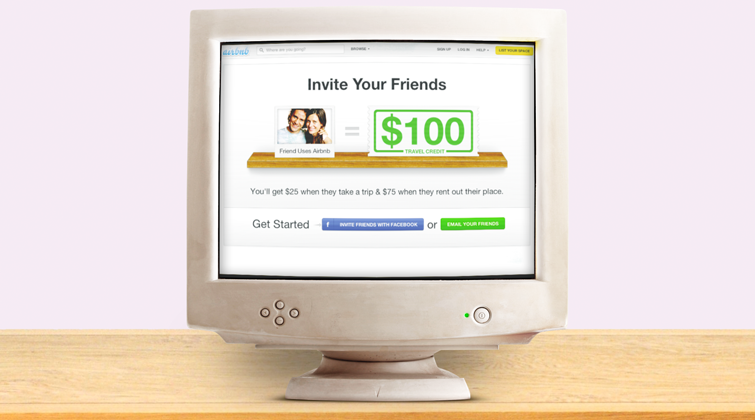 Whether you and your friends are happy-go-lucky couch-surfers or high-rolling c-suite expense accounters, you’re going to be offered the same referral proposition: £15 of credit when a friend makes a booking and £30 off for the friend. Now, that’s fine for some users – it’s often quite generous – but it’s bordering on insulting for others. If I refer a friendly neighbour megastar to spend a week at this super-swanky, £7,500 per night private chateau in the Loire Valley, then I’m going to expect a little more than pocket money for my trouble. A free night for myself might be nice. Or at least the chance to enjoy a complimentary time-of-my-life via one of Airbnb’s fancy new experiences. The other solution is flexible rewards, something which Buyapowa clients including the leading beauty box brand, Glossybox, use to great effect. Instead of offering a static reward for every referral – and a fixed incentive to get friends shopping – our platform enables them to adapt their offering on a sliding scale. So, the greater the value of the referral (in Glossybox’s case, the longer the subscription each friend takes out), the bigger the payouts on both sides. These are simple improvements that Airbnb could and should make to their programme. But, sadly, the huge investment they’ve made in building their programme from scratch – rather than leveraging an external platform which continually adds cutting-edge features – means that they’re highly unlikely to do so anytime soon. First, they’ve chosen an extremely niche image, with an awful lot of anorak action and altogether too much dry stone wall. What if my friends hate the countryside, but love beach holidays? Or sci-fi adventures in Tokyo? It’s immediately alienating. Secondly, I’m not sure I’m 100% comfortable with Airbnb revealing how many times I’ve used their service – certainly not without asking me first. It seems invasive. And thirdly, this simply isn’t how I’d describe their service. I’d never use the word ‘host’, for example – despite the way that whole touchy-feely-hang-out-with-a-stranger element is a core part of how they perceive their brand. I, and millions of other people, use Airbnb in spite of that stuff (I always feel incredibly uncomfortable when I’m forced to interact with hosts) and, if I were selling their service, I’d definitely play it down while playing up the fact that you can get a whole house for the price of a hotel room. And my friends would be way more into that, too. Oh, and finally: 75% of the paragraphs in this email end with exclamation marks – which just comes across as desperately needy. Maybe I’m nit-picking, but – hey – that’s what happens when you force people to send their friends words which you’ve written. They gripe about the grammar. The first reason we should let slide. As a user, it’s always a bit creepy to be tracked, but business is business and it’s entirely understandable that Airbnb would want to know how their product is being used. The second reason, though, is naive and, sadly, inaccurate. There is absolutely no need in either Europe or the US for people to be able to unsubscribe from personal emails sent to them by friends. Yet, ironically, by mandating that these emails come from their servers rather than users’ personal accounts, Airbnb have imposed this problem on themselves! And it’s about to get even more serious. From May 2018, the EU’s GDPR (General Data Protection Regulation) comes into effect, prohibiting the collection of any individual’s data where the individual has not personally opted in. That immediately rules out Airbnb’s contacts import functionality, since Airbnb will no longer be allowed to harvest the email addresses of a user’s contacts without those contacts’ consent. But it also rules out server-side emailing. Simply by asking customers to type their friends’ names into a form, they’ll be breaking the law and become subject to a €20 million fine – or potentially, 4% of their global annual turnover. Once again, these are the kinds of mistakes which brands who don’t understand referral make when they try to do things themselves. If they’d sought the insight of experts, they wouldn’t be in this predicament. Now, with the clock ticking on some very serious repercussions, one can only hope they find a solution before it’s too late. Ask most people what constitutes a successful referral scheme and they’ll say it’s anything which encourages a user to sign up and share, and a friend to click through and shop. This is a mistake. A successful referral programme recognises that, once a fan or customer has achieved one referral, they’ve proven their ability to attract new customers – and it does everything in its power to ensure that they keep sharing and that their friends keep coming. But Airbnb have nothing in place to incentivise multiple referrals from each of their customers. In fact, given that people’s friends are likely to book trips weeks or months in advance, but could cancel at any time (meaning that referrers won’t even get a congratulations notification for the same super-long stretch of time), there’s very little to keep the referrer engaged after their initial participation. responsible for almost 20% of all referrals. So, how do they achieve that? The first is tiered rewards: stretch targets which hand referrers a bonus reward whenever they hit a certain threshold (be that three, or five, or any appropriate number of referrals). 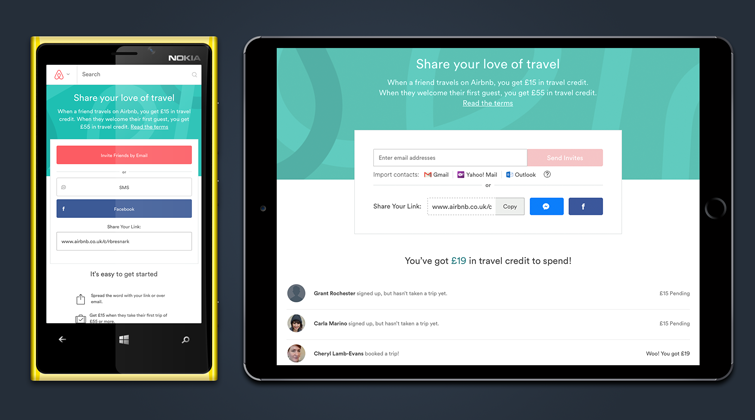 Tiered rewards can make a huge difference, and it’s something Airbnb could apply straight away (providing their platform permitted it) by offering an additional account credit or even something more experiential to get their users’ juices – and referrals – flowing. The other way to stimulate multiple referrals is gamification, where referrers are pitted against each other to see who can introduce the most people within a set period of time. Whoever tops the leaderboard when the time runs out wins something special – and it doesn’t take a genius to see that Airbnb’s niche in the travel world puts them in a perfect position to offer something both on-brand and extremely exciting. While tiered rewards have universal appeal, gamification targets a brand’s superfans – the 20% of customers who frequently generate 80% of all referrals – and the results are always compelling. No one’s saying that Airbnb’s referral programme is a catastrophe. In fact, it remains an example I happily cite whenever someone asks where the modern explosion in referral began. 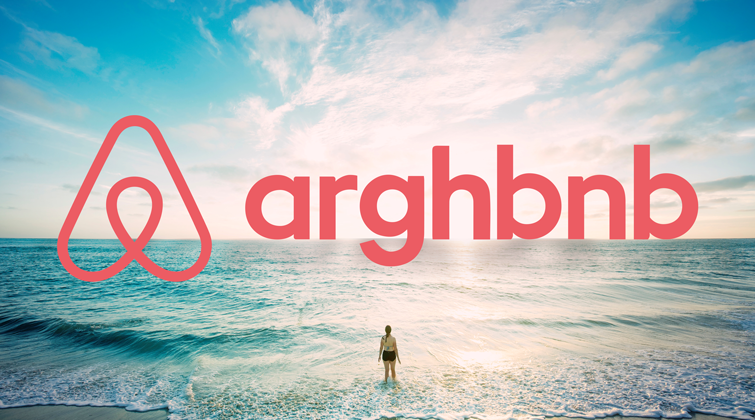 But things have moved on and, strangely for a brand that’s all about travel, Airbnb have stayed very much rooted to the spot. Stay tuned for more on Expedia’s exciting new programme – which promises to take travel referral further than its ever gone before. But, in the meantime, if you’d like to find out how your business can holiday in the future rather than staycationing in the past, just get in touch.